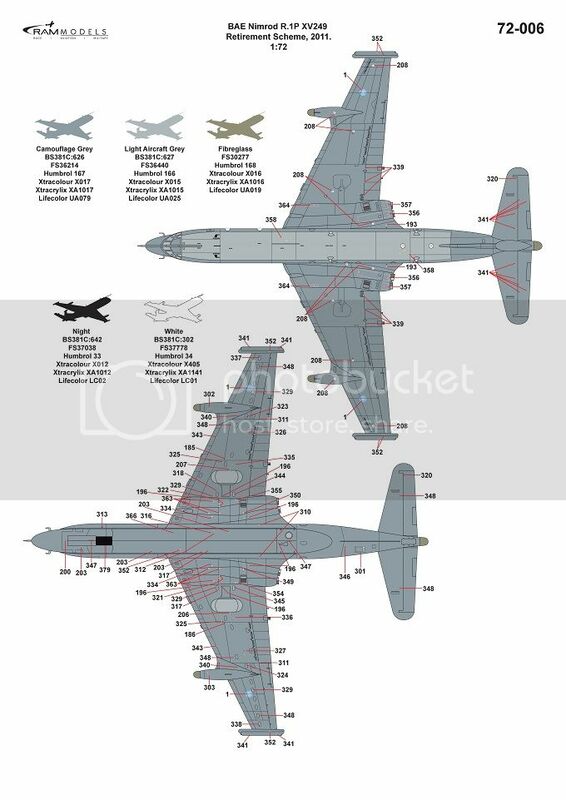 We have just released our first decal sheet of 2016. 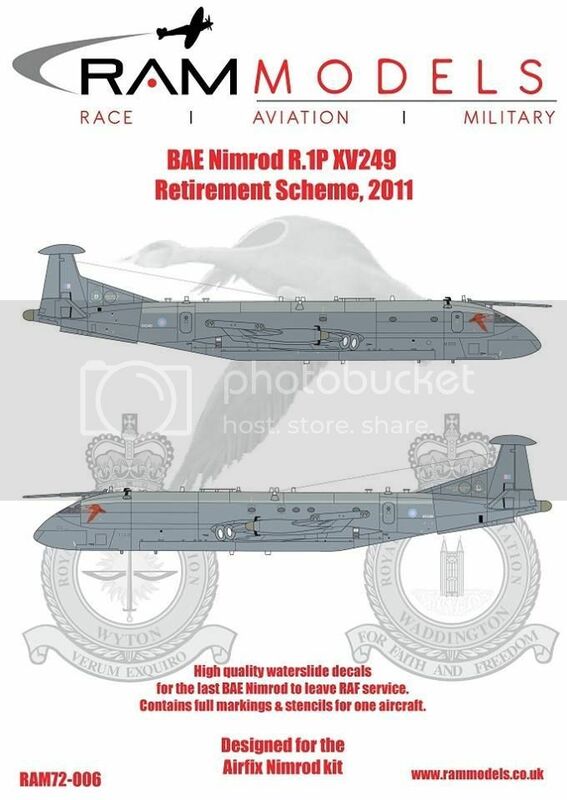 1/72nd Scale BAE Nimrod R.1P XV249 Retirement Scheme. 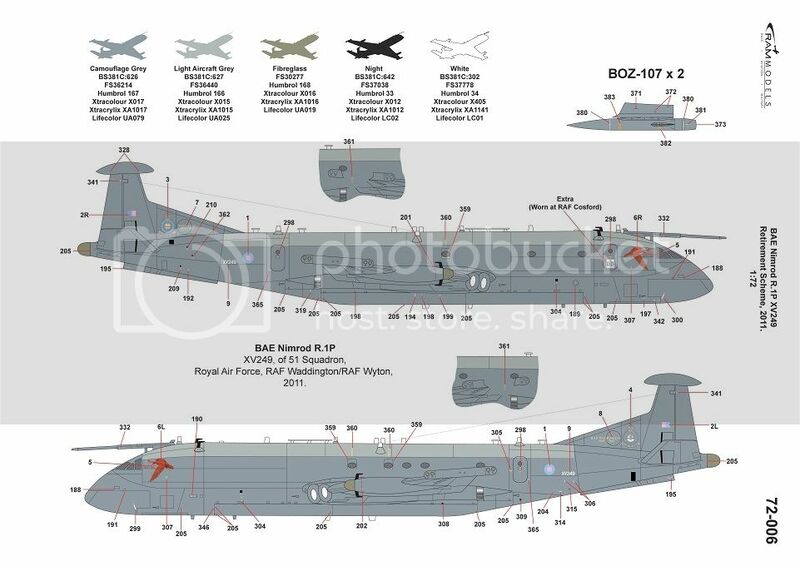 Printed by Fantasy Printshop our sheet not only includes the full markings/retirement scheme but also a complete set of stencils. A first for a RAM Models decal sheet is the need to use four colour litho printing. Using this print process enables us to accurately reproduce the graduated colours and airbrushed look of the goose artwork seen on the full size subject. It really looks superb.